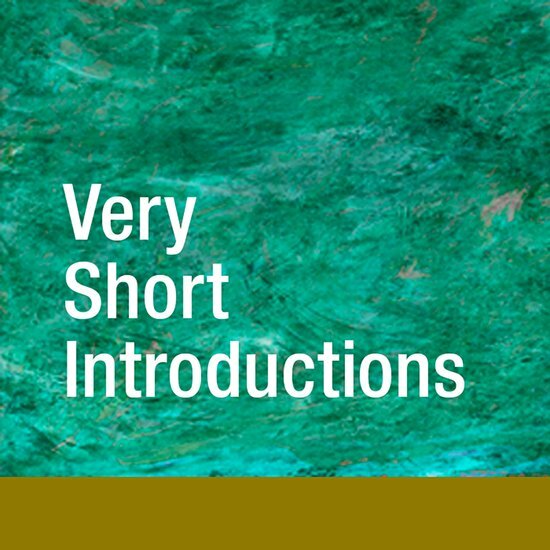 Today sees the launch of Very Short Introductions as an online resource. 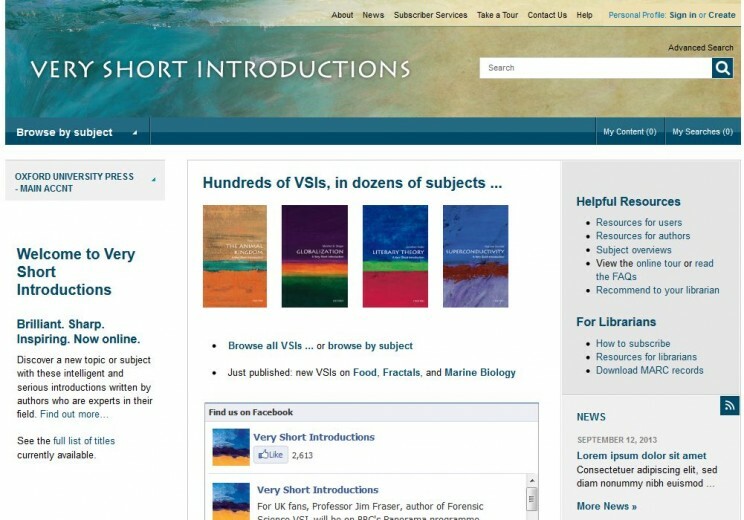 Very Short Introductions Online will make the content of the hugely successful Very Short Introduction series available to institutional libraries. All those who have read and loved a Very Short Introduction (VSI) know that they offer a short but sophisticated route into a new or slightly familiar topic. The series was launched in 1995 and has continued to offer new books each year (around 30 a year, at the last count) for students, scholars, and the avidly curious. Editions are renewed and topics added to reflect changes in the zeitgeist and academic needs. The books cover a huge range, such as Evolution, Sexuality, The Earth, The Brain, Superconductivity, The French Revolution, Kant, Chaos, Game Theory, Bacteria, Entrepreneurship, Fractals, and Law (I could go on). Each book is only 35,000 words in length (which presents quite a challenge for authors). They are written by the leading experts in their fields, who are, inevitably, also people who love their subject. All the VSI authors have written sophisticated, charming, windows into their fields, and each one of the books gives a different and unusual insight into the subject — and probably not the one you were expecting. Very Short Introductions have always been invaluable to students, whether to those considering their study options, those embarking on a new module, topic or essay, or those who just need a resource for revision. As we approached our 375th title, we sought a way to make VSIs available in the most useful form for those students: on their computers and mobile devices, in fully discoverable collections which are available from their libraries. Depending on the needs of the student, Very Short Introductions Online will provide a stepping stone or landing stage in their research journey. It will be fully integrated into Oxford University Press (OUP)’s digital publishing portfolio, allowing students to access and discover the content at their university, via simple reference searches, which could then lead on to more specialised scholarly material. VSIs will be found directly alongside (and connected via intelligent cross-linking to) reference, biography, bibliography, monograph, dictionary, scholarly, and journal content. The VSIs themselves will be fully searchable, allowing multiple students to read assigned chapters, or whole books, cross-referencing from one title to another, and to extract references and quotations as required. Very Short Introductions Online will be launched with over 350 titles, with the rest to follow. It will be available as a whole, or split into subject modules (for example the Arts and Humanities, Science and Mathematics, Social Sciences, and Law, or smaller modules such as History, Philosophy, Literature, Religion, Physics, and so forth). From the end of 2013, all VSIs will publish as books, ebooks, and online, making them immediately available in whichever format is most suited to readers’ needs. This new initiative makes the titles available to even more readers, and will, with OUP’s continuing commitment to the series, allow this accessible content to have a permanent online and shelf presence. VSIs have been loved by students for many years. OUP’s new development makes them even more accessible, extending the reach of their inspiration. Luciana O’Flaherty is a publisher at Oxford University Press.